The beam launcher is the equipment that places the preformed beam into the prefabricated piers. 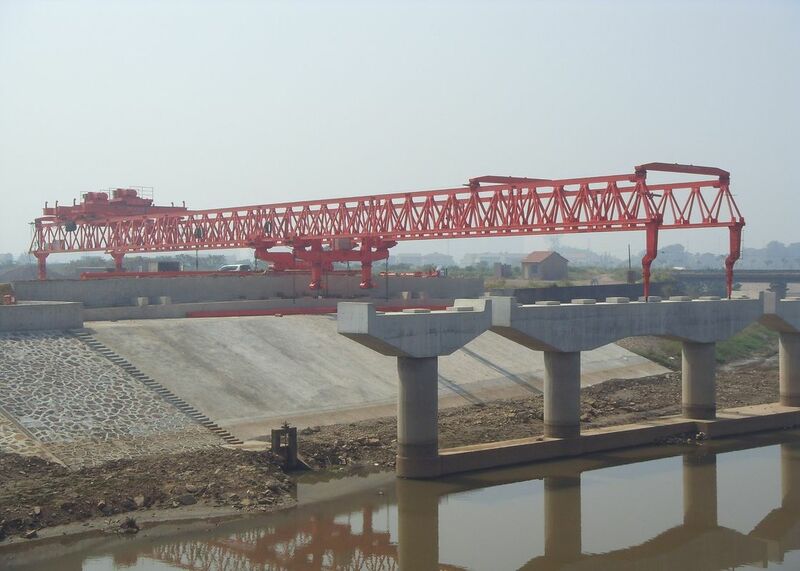 The bridge machine belongs to the crane category, because its main function is to lift the beam, and then transported to the position and then put down. But it is very different from the general sense of the crane. The requirements of the harsh conditions, and the existence of beam on the line, or called the vertical shift. Bridge machine is divided into erecting highway bridge, conventional railway bridge, passenger railway bridge, and several. To JQ900A gantry double main beam three legs bridge machine, for example, mainly by the arm, a lifting car, the second lift car, a column, the second column, the third column, hydraulic system, electrical Systems, diesel generators and security protection monitoring system and other components. JQ900A-type bridge frame girder operation for the cross-hole simply supported by the beam, by the YL900 beam carrier beam to the end of the bridge feeder beam, lifting crane crane towing beam, the air fine-tuning box girder in place , The bridge machine uses hydraulic drive tires, walking through the hole operating mode. Can be set up 32m, 24m, 20m double-line box girders, to adapt to set the minimum curve radius R5500m, to adapt to set up the largest vertical slope 20 ‰, rated lifting capacity 900t. In the road, rail orbit, for the entire span of the bridge set up a small bridge construction machinery. 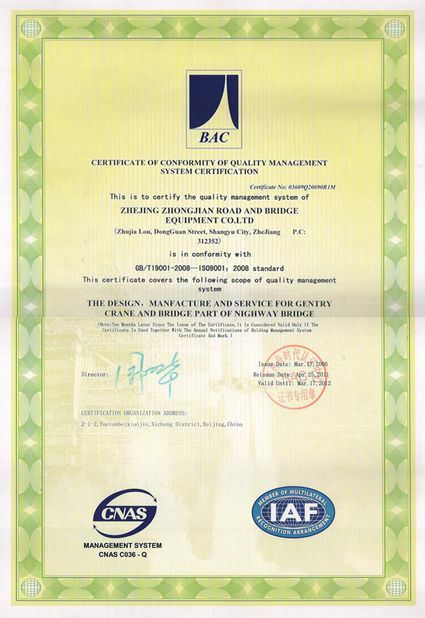 Because of its high efficiency of the bridge, in the Chinese railway bridge standard design, and more to consider it as a design principle. The body is large, beyond the boundaries of rail transport, to be disintegrated transport, arrived at the site, and then assembled use. China has three kinds of standing bridge machine, used to slice the erection of reinforced or prestressed concrete beams. 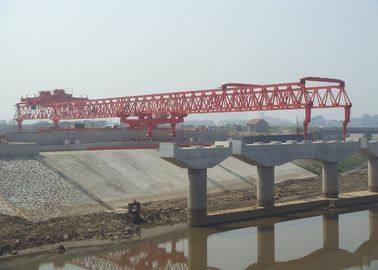 One of the bridge construction machinery, the boom is a box beam, forward extension, in front of it has a folding column (composed of the left and right feet). The machine can be carried in the no-load state into the bridge, and then the front column straight, supported in the front pier. When the beam (or the whole beam) moves along the boom, the boom approaches the simply supported beam. When the bridge is bridged, the machine can enter the bridge position in the no-load condition. The beam must be transferred from the railway platform to the special beam machine by the special gantry crane. 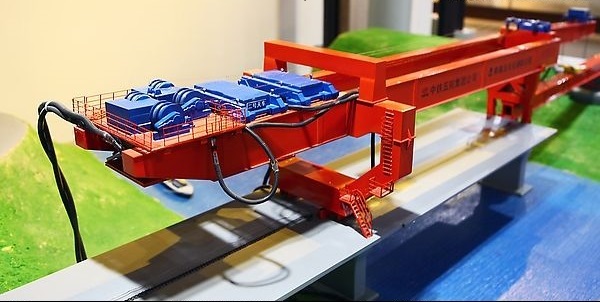 Then, the beam machine and the bridge machine End of the bit, with the bridge in the bridge crane on the two hanging beam car will be lifted beam, along the arm before the line, arrived at the bridge beam. In order to adapt to the curve of the bridge, the machine's arm can be a small amount of swing in the horizontal plane. The beam placement method is the same as the double cantilever bridge machine (moving beam or dial). The advantages of the machine is: to cancel the balance weight, no longer need to push the locomotive, the beam does not need to bridge the fork, the degree of mechanization, safety performance has improved. Lifting the 130 tons of victory-type bridge machine that is the case. One of the bridge construction machinery, the Soviet Union used earlier. In 1948 the introduction of its front and rear arms are steel beams, hanging weight of 45 tons and 80 tons of two. 50 years, the arms to architecture, lifting development to 130 tons. This type of bridge machine can not be self, need to use the locomotive push. The forearm used to hang the beam, the rear arm balance weight, front and rear arms can not swing in the horizontal plane. When the bridge is to be used, it is often necessary to use a special 80-ton flat car to transport the beam under the hook of the forearm of the bridge machine (called "feed beam") to be lifted. For the convenience of the shunting operation, line. When the bridge is lifted, the axle is increased and the new embankment of the bridge is relatively soft. Therefore, it is necessary to take reinforcement measures for the crane section of the bridge crane. 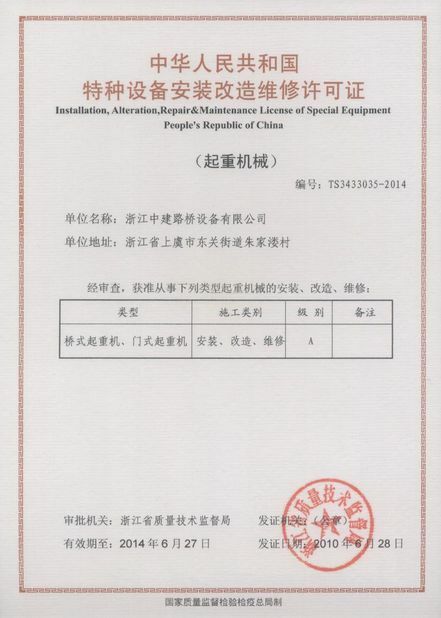 Red flag-type bridge machine and Liaoyuan type bridge machine is such, lifting weight is 130 tons. The boom is composed of left and right two box girders, two beams through the fuselage and forward and rear ends. At both ends there are folding columns consisting of two legs. Red flag type two beams in the distance of 3.4 meters, compared with the prairie type of 4.8 meters. There are two trusses across the box girders and can travel longitudinally along the boom. The crane is placed on a truss and can travel along the truss. The beam (or the whole beam) to be racked can be sent directly to the rear arm of the bridge machine with a railway flatbed truck. After lifting the crane with a crane beam, it will move forward with a truss, Bit. In order to adapt to the curve of the beam, the front and rear arms can swing in the horizontal plane; set up when the erection does not have to shift beam or dial Road, beam can be in place; "feed beam" does not require bridge fork or special beam machine. After the beam immediately to lay the track, bridge machine can continue to move forward. After the two bridge machines are generally able to pre-assembled rails in place, so that the beam does not work due to laying the track caused by delays. In addition to the above-mentioned standing bridge machine, the construction unit sometimes according to the need to produce a variety of temporary bridge machine. Such as the construction of the bridge in the south bank of Jiujiang River, has made a lifting capacity of 300 tons of special bridge machine to set up a span of 40 meters span ballastless pillow prestressed concrete beam. Some construction units also commonly used standing steel footrest, disassembly beam or military beam composed of simple bridge machine, timely completion of the bridge task.